Even excluding the cost of mortgages, 'housing, fuel and power' make up the biggest cost for a family. As you might expect, gas and electricity bills account for a significant proportion of this. More surprising, however, is the £7 per week that's spent on home maintenance and repairs. The reason this figure is so high is because maintenance generally isn't a regular weekly cost that you build into your financial predictions. Instead, it tends to be an annoying one-off expense, like fixing a leaky tap or mending a door. But failing to budget for such eventualities is a risky business, as the average home maintenance spend is now £364 per year. It's relatively easy to ensure you're covered for such eventualities. You could, for example, set up a direct debit transferring £7 per week into your savings to ensure you're always prepared. You can even use our free money management software to tag the direct debit, so you never forget about your handy home maintenance fund. You might think that you don't have to worry about small maintenance costs if you have insurance, but protecting yourself against life's larger obstacles has a much higher price. The average household will spend around £9.90 each week on vehicles insurance, £5.10 on household insurance, £0.10 on travel insurance, and £1.80 on medical insurance. That's £17 a week, or £884 each and every year. Overall, recreation and culture amount to costs of £61.50 per week for the average family; and a family pet contributes an average of £4.60 to that. Just under half of this sum comes from pet food, but once you factor in vet costs and toys/accessories, the amount soon adds up. If you're thinking 'that doesn't sound so much', we've got bad news. 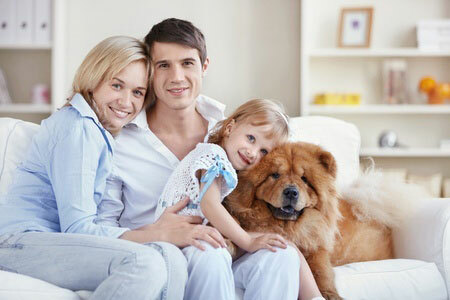 These numbers represent averages for households across the country: including families without pets. So if you have several, those figures will be significantly higher. In fact, This Is Money estimate that the cost of a dog over its lifetime will be £16,900 (£1,183 per year). There's worse news for cat owners, who pay out a slightly higher lifetime amount of £17,200. Although family budgeting generally involves thinking about daily expenses and the future of your little ones, another big expense is planning for your own future. The ONS found that pension funds and life assurance (like mortgage endowment policies) took around £19.30 per week from the average household budget. With all these hidden costs to consider, it's never been more important to keep track of your finances. To help you stay on top of your outgoings, check out our free Money Dashboard software, which can collect all of your expenses in one simple, clear space.